The victim was rushed to hospital in a serious condition. A 21-year-old man has admitted murdering his wife and her mother in a frenzied knife attack after his second secret family was discovered..
Raneem Oudeh and her mother Khaola Saleem were both found with serious injuries outside Ms Saleem's house on Northdown Road in Solihull. 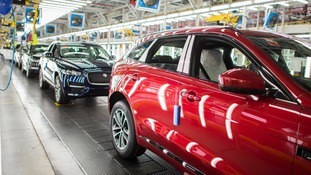 Jaguar Land Rover has announced more job cuts at its Solihull factory. ITV News Central understands Jaguar Land Rover is freezing production for two weeks because of poor car sales in September. An investigation has been launched after a woman's body was found at a house in Olton, Solihull, on Monday. Janbaz Tarin appeared at Birmingham Crown Court on Tuesday morning charged with murdering his ex-partner and her mother in Solihull. Janbaz Tarin appeared at Birmingham Magistrates’ Court on Saturday after he was arrested by police late on Thursday night. Janbaz Tarin is due to appear in court on Saturday. A 21-year-old man has been arrested on suspicion of murdering a mother and daughter in Solihull.